A plant-based version of traditional homemade soap, good for hand washing or to remove tough stains. 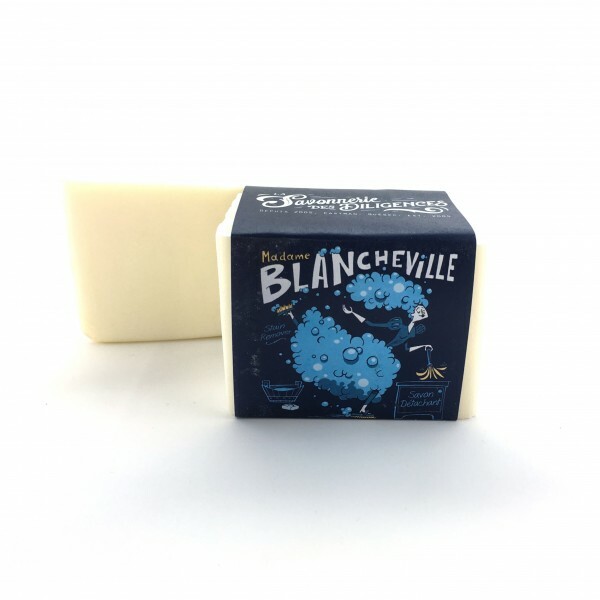 Madame Blancheville soap cleans everything! It is useful for camping as an all-purpose cleaner and practical for travel. Use it for everything in your house! Ingredients: Organic coconut oil, water, sodium hydroxide.